Under the European Union funded project to the tune of UGX 456 million, Northern Uganda is on the road to recovery in the Agriculture sector. The Agriculture Livelihood Recovery programme (ALREP) had 67 projects commissioned and constructed in Katakwi and Amuria districts. The Minister of State for Teso Affairs, Hon. 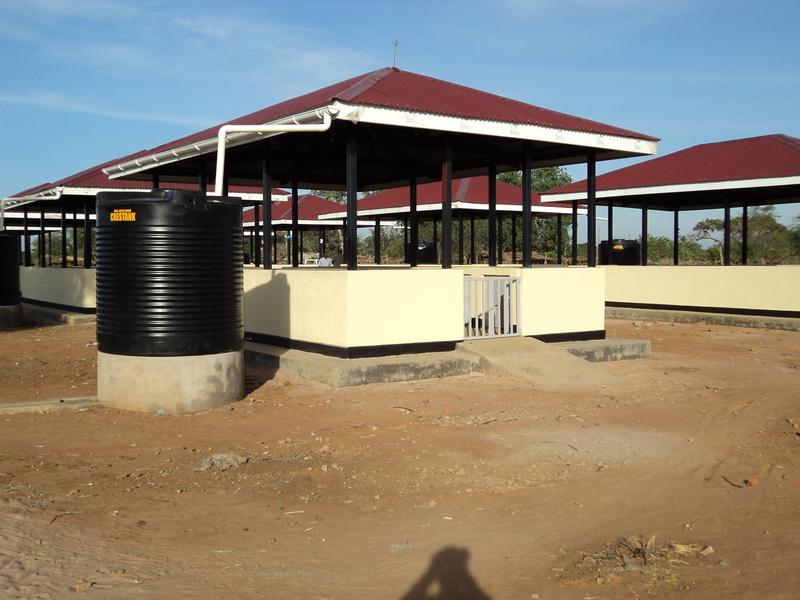 Christine Amongin Aporu commissioned 8 market shades, water harvesting facilities in Toroma Sub County in Katakwi District, 3 cattle crushes in Ngariam Sub County, Omodoi Sub County and Magoro Sub Count on 26th to 27th of November 2013. The Minister who advised the beneficiaries to maintain the projects so that they can benefit the future generations,also commissioned 2 boreholes in Bisina Parish, Ngariam Sub County and Acowa Sub County, 60 rain water jars in Amuria and Katakwi districts. Ather projects commissioned include a Goat breeding Unit in Omodoi Sub County constructed by ALREP in partnership with FAO and the 8.4 km Aperur Aodot-Olupe community road in Ngariam Sub County implemented by ALREP in partnership with ASB. Hon Aporu promised to work with the Ministry of Works and Transport and the Ministry of Agriculture, Animal Industry and fisheries to ensure that roads are constructed and the abattoir rehabilitated. She said this after touring the road from Soroti to Magoro that has become impassable due to flooding and the meat abattoir at Ajelena Village, Usuk Sub County in Katakwi district that was abandoned by the contractor before completion.